The DROP (Spamhaus Don't Route Or Peer List) is a small list of IP address ranges that have been stolen or hijacked from their rightful owners. The DROP list is not a DNS based list. It is designed to be downloaded as a file, with primary intentions being that the user of the DROP list will install it within their firewall. Though I've found a lot of support to compile to drop list into alternative operating systems, I've found support to be lacking on the internet for implementation with Windows servers, without a hardware firewall. This list is free to most users. As stated on their web site: "The DROP list contains network ranges which can cause so much damage to internet users that Spamhaus provides it to all, free-of-charge, to help mitigate this damage." "When implemented at a network or ISP's 'core routers', DROP and EDROP will help protect the network's users from spamming, scanning, harvesting, DNS-hijacking and DDoS attacks originating on rogue netblocks." The following instructions will allow a web server using Windows Advanced Firewall to take advantage of Spamhaus DROP lists. This script has been modified from the original code to output netsh commands, replacing the original iptables output. I'll expand on it as soon as possible. Thank you! 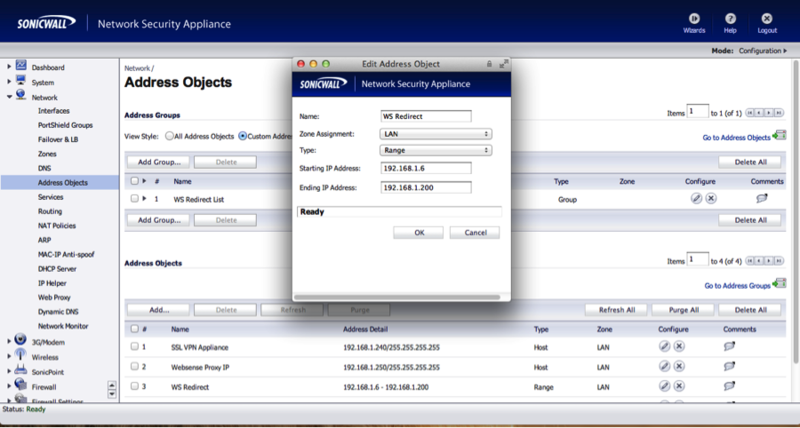 Using Policy Based Routing (PBR) with SonicWALL firewall and Websense Gateway. To setup a SonicWALL for policy based routing to be used with the Websense Content Gateway there are several steps that need to be completed. Below is a rough guide for accomplishing this. One thing of note is this guide is intended to assist in the setup but is not supported by Websense or its employees. 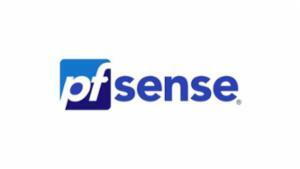 It is encouraged to contact the vendor should you run into any issues in the setup on non-Websense products. This guide was written using the latest firmware to date for 5th Gen SonicWALL firewalls v5.8.1.2-36o. 2) Next we need to group the address objects we created together for later use. Scroll back to the top of the Address Objects Menu and under “Address Groups” choose Add. Name the group anything you want, for this guide we will use WS Redirect, and select all of the address objects you created earlier and move them to the right. Do you have a windows based Checkpoint SmartCenter for centralized Checkpoint management? 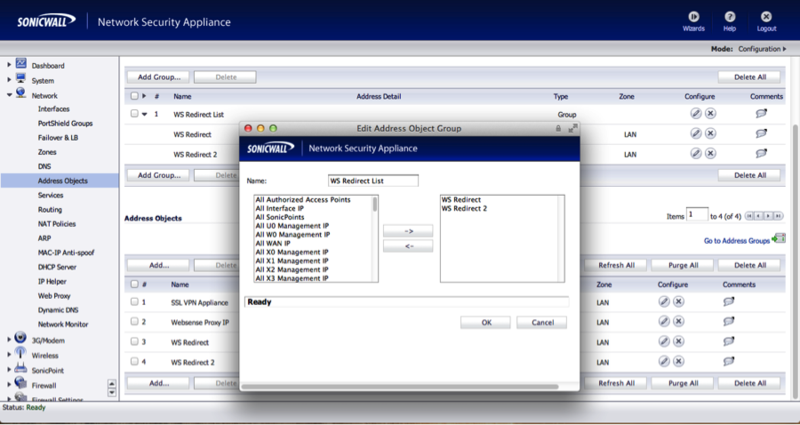 Have you ever backed up the firewall policy residing on the SmartCenter? If you have then you know the hassles of connecting to the server, doing an upgrade_export, copying the files off of the server, and then having to make time to repeat these tasks daily. I have seen more firewall admins skip backups of the SmartCenter just because there is not a clean easy way to do the upgrade_export automatically. I have written a 100% FREE, easy to use program to assist in running and automating the upgrade_export process (see download link below). The program is called the BMPTS- CP BackupInator or BMPTS-CPBI. The CPBI is designed to be user friendly and easy to install. CPBI is designed for firewall administrators, and you must have a good understanding of network shares and permissions to use it correctly. The CBPI is installed by extracting the zipped files to a location of your choosing onto the SmartCenter Server ( Microsoft Windows 2000 – 2008). After you have extracted the files, run the help file called CPBackupInator Use.mht. This help file is a basic web archive file that will show you how to configure and run the CPBI correctly. 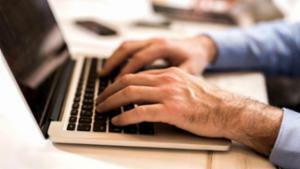 If you are like regular user of computer nowadays, a good bet that your home computer is on right now, all exposed to world of Internet to be exploited by somebody you do not know and you never will. Internet security issues has been getting worse day by day. Finding a good firewall program without shelling out pocket full of money is even tougher. I am all about free program. Free as "FREE BEER". I came across a Firewall program couple months ago, which is free but very much effective. Comodo Personal Firewall is a firewall for free. Despite of the free-of-charge fact, it has some features that far exceeds any commercial firewall products in the market: It includes a Memory Firewall which allows you to switch between different configuration on the fly. And it supports automatic updates for behaviour checking. This program might not be a suitable choice for a computer novice or just an ordinary user. The pop-up window alert displays way too frequently and lets you know what's happening. Doing a very simple installation of any program might end up with quite a few mouse clicks. If security is very important to you and you can get past the clicks, then this is one program you wont regret. 1. a massive download size (anything above 100MB is massive unless it is a Windows service pack) but nowadays it is normal for software packs to have such a big size, so I guess we can ignore that. 2. definition updates (for the anti-malware part of the suite) they take another 150MB or so. 3. no place on the comodo site to download stand-alone antivirus definition files. If you are reinstalling windows or installing commodo on several PCs, one would not expect each PC to download its 150MB definition file, individually. P.S. - I retired Comodo six months ago, if it has changed, correct me. I have gone as far as cutting off both China and Russia; the amount of "hack" attempts subsided by 90%. 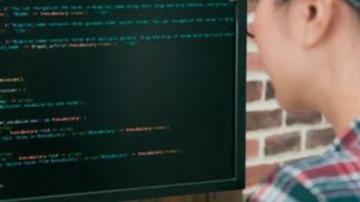 That said we use that same script for SSH; love the modification to it will certainly test with it.